After months of leaks and learning almost everything about the Pixel 3 and Pixel 3 XL, Google’s flagship devices have finally been revealed at $799 and $899. With pre-orders starting today, the Pixel 3 arrives with new colors while featuring a giant 6.3-inch notched screen, wireless charging, and second selfie camera. Whatever kind of protection you need, Spigen has your back for the Pixel 3 and Pixel 3 XL with cases that provide essential levels of protection — and support wireless charging — without the unnecessary bulk. 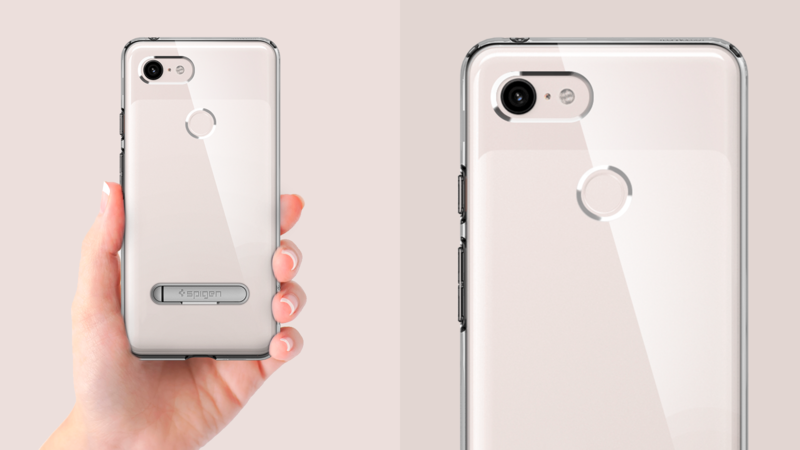 You can check out the full collections at Spigen (Spigen Pixel 3 Collection | Spigen Pixel 3 XL Collection) or see below for a first look at Spigen’s complete collection for the Pixel 3. 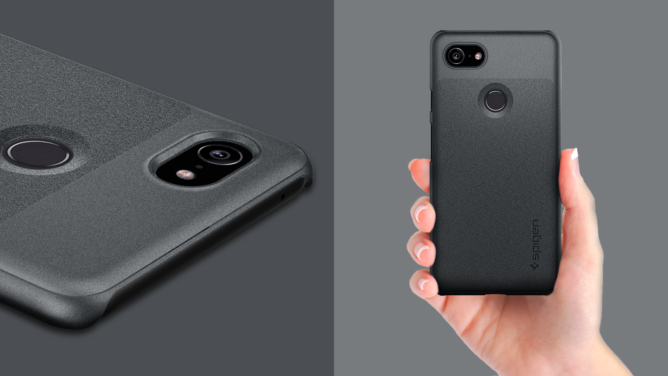 For those who dislike bulky cases, Spigen’s Thin Fit delivers a minimal look with ample protection against scratches. The Thin Fit in Graphite Gray now has a grippy texture to keep Pixel 3 snug in your hand, preventing drops. 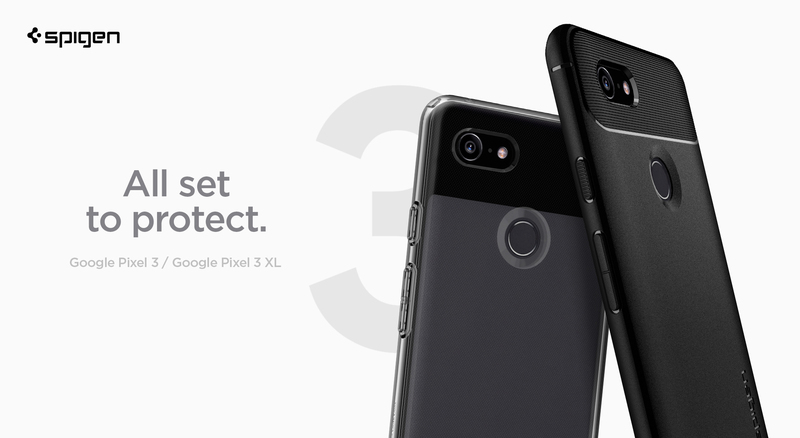 Want to keep the original design of the Pixel 3 and Pixel 3 XL without sacrificing protection? The Ultra Hybrid S and Liquid Crystal are perfect for spotlighting Google’s flagship designs with transparent protection. 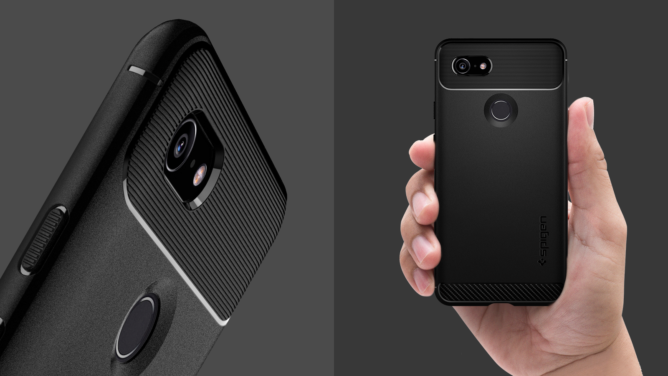 The clear case combines a hybrid structure for drop protection and a built-in kickstand for added functionality. Protect the Pixel 3 with the simple and clear Liquid Crystal. The flexible TPU supports easy access to the Active Edge squeeze features without adding extra bulk. Meanwhile, you can show the world just how sharp the new Pixel 3 design is (especially if you're bold enough for the Not Pink option). Pick the Neo Hybrid for a versatile case that merges a stylish modern look with bumper protection. 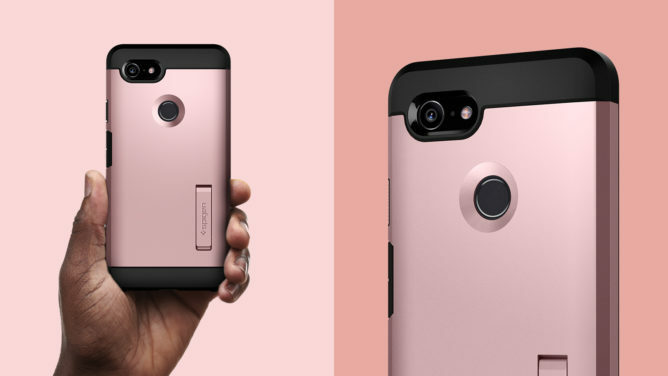 The new camera cut-out highlights the Pixel 3 and Pixel 3 XL's amazing cameras and keeps them recessed with an extended lip. Check out the Burgundy color above or go for the classic Gunmetal. 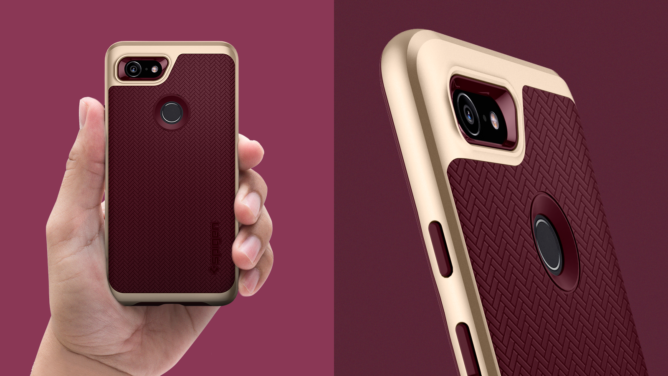 Fan favorite Rugged Armor returns for the Pixel 3 & 3 XL with a stylish design matching the two-tone look. The textured matte finish has improved for added grip and now more durable against scratches. Find out why the Rugged Armor is a fan favorite with style and protection packed in a single TPU layer. The Tough Armor offers unyielding protection from Spigen, while remaining slim and pocket-friendly. Available in Black and Pink, keep the Pixel 3 covered for every demanding experience.